Are you looking for a cheap data plan for all your browsing needs ? Then look no further as 9mobile gat you covered with this very cheap data plan. The 9mobile N200 for 1GB gives you a total of 1 Gigabytes of data for just N200. Months later and the plan is still available but not a lot of people know about the very cheap data plan. 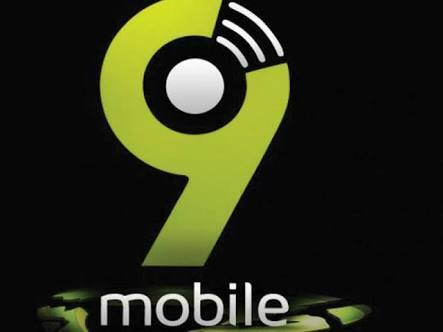 Although not all the 9mobile sims are eligible for this subscription but it is definitely worth the try. One of the reasons i like the plan is the fact that it runs only for 3 days. The plan is very idle for people who just got back to the country and do not plan on staying for a whole month. Maybe just a couple of days or a week or two tops. So subscribing for a month plan will be a waste of money. Even people who plan on staying for a month or more can also enjoy the plan. Which is by far cheaper than any other subscription any other network has to offer. If you keep subscribing for for the plan once every 3 days. At the end of the month you would have spent a total of N2,000 for a whopping 10GB Of Data. The Data plan is not like the MTN N25 for 500MB that can only be used at night only. This data plan from 9mobile can be used 24/7 throughout the 3days. No other network comes close to this. Not even the grand masters of data Glo that give N2000 for just 4.5GB. However, there is a downside to the 9mobile data plan. There is no rollover on this data plan. You will have to exhaust your existing data before subscribing again. If you do not, your old data will be wiped away before you will be given the new data. ⚫ Make sure you phone is Turned On. ⚫ Dial * 929*10# on Your 9mobile Sim. ⚫ If you have up to N200 on your phone, you would get a confirmation message. ⚫ That’s it. You now have 1GB of data valid for 3 days. Note: if you dial the code without Airtime on your sim and it tells you that you have insufficient balance then you are eligible. If not, then do not bother buying an airtime as you are not eligible. I personally have been using and still using this 9mobile N200 for 1GB data plan for over a year now. And i can say that the plan is definitely worth every penny. 9mobile network is pretty stable in most places in Nigeria and you can be able to use the data plan without any hiccup. Let us know in the comment section if you would use this data or know of any other cheap data plans you would like us to talk about. 0 Response to "How To Buy 9mobile 1GB Data for 200 Naira"